The basis of my complaint is that Campos didn't provide me with all of his emails related to the Maximus Partners' construction firm from Jan. 31, 2014, through Feb. 25, 2015. 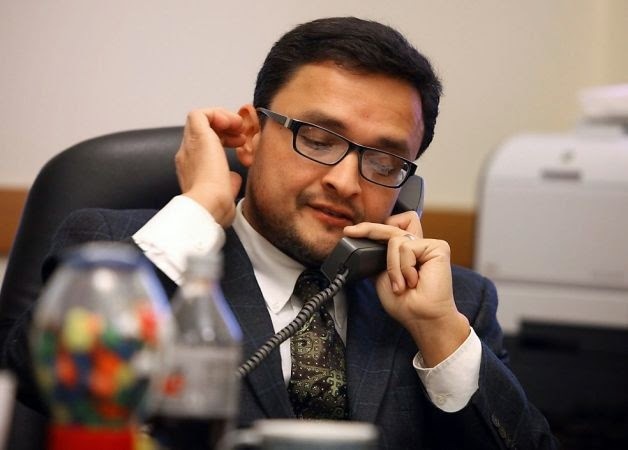 His responsive records contained not one email to or from his SFGov.org account over an extensive period, a time when Maximus' proposed condo at 1979 Mission was generating big sparks. "You have been named as a Respondent in the attached complaint filed with the Sunshine Ordinance Task Force. In an attempt to mediate and avoid a hearing before the Sunshine Ordinance Task Force, please respond to the following complaint/request within five business days. "The Respondent is required to submit a written response to the allegations including any and all supporting documents, recordings, electronic media, etc., to the Task Force within five (5) business days of receipt of this notice. "This is your opportunity to provide a full explanation to allow the Task Force to be fully informed in considering your response prior its meeting. "1. List all relevant records with descriptions that have been provided pursuant to the Complainant request. "2. Date the relevant records were provided to the Complainant. "3. Description of the method used, along with any relevant search terms used, to search for the relevant records. "4. Statement/declaration that all relevant documents have been provided, does not exist, or has been excluded. "Please refer to the File Number when submitting any new information and/or supporting documents pertaining to this complaint. "The Complainant alleges: File No. 15015: Complaint filed by the Michael Petrelis against Supervisor David Campos, Board of Supervisors, for allegedly violating Administrative Code (Sunshine Ordinance), Sections 67.25 for failure to respond to an Immediate Disclosure Request in a timely and/or complete manner. "Both parties (Complainant and Respondent) will be contacted once a hearing date is determined. "Thank you. Victor Young Administrator Sunshine Ordinance Task Force"